I had been using Fluxbox for 7 years when I finally decided it’s time for change last Friday. As my friends expected, I left it for xmonad. Seven years is a long time and for me it meant that I became a Fluxbox developer. Therefore, I should say some nice goodbye. 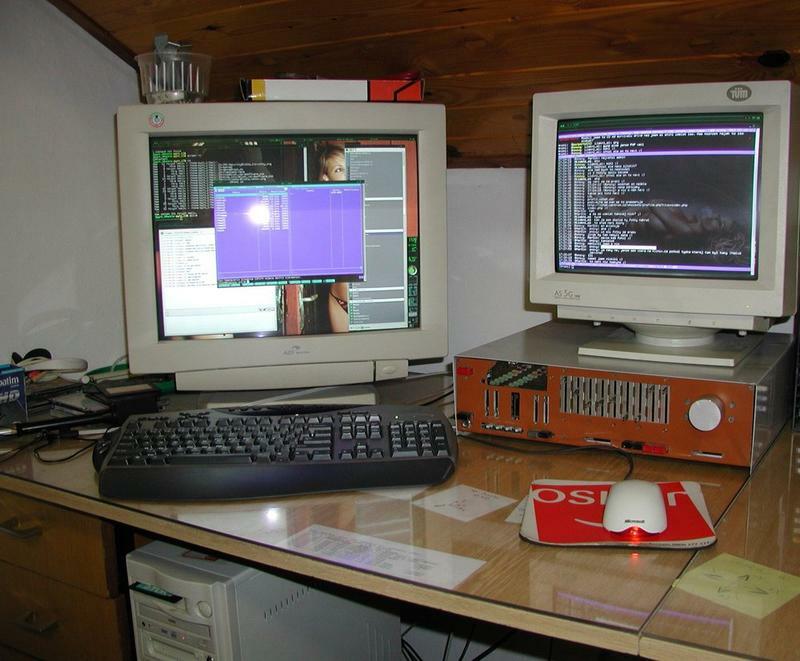 It all started in 2002 when a friend of mine switched me to Linux. I installed it onto my father’s laptop, which only had 32 MB of memory and quickly realized that GNOME, KDE and Mozilla aren’t for me. Someone gave me a tarball of fluxbox 0.1.12, I installed it, and liked it. Unfortunately, I have no screen shots or photos from that time. Later that year, I installed fluxbox 0.1.14 (the last in 0.1 series) onto my “workstation” and it turned out that I would stick with that old version for another 4 years. The look of my workspace evolved a little over the years. I chose a few shots that demonstrate that :-). In the meantime, Fluxbox team was working hard on the 0.9 series, hoping to get it stable enough for 1.0. Every time I tried it, it seemed buggy and slow, bringing nothing new other than transparency and eye candy. The one or two little features I liked were easy to implement in 0.1.14, anyway. So I stayed for 4 years. Then, Mark Tiefenbruck jumped in and made things move faster in 2006. Later that year, seeing a lot of activity in its svn repo, I decided it was time for me to jump in as well. Took me only a few patches and it was stable enough for me to use. I even added some little features I wanted, and managed to get some of them included in official Fluxbox repo. At the end of 2007, Fluxbox switched from svn to git and I was given push (“commit” in svn terminology) access. 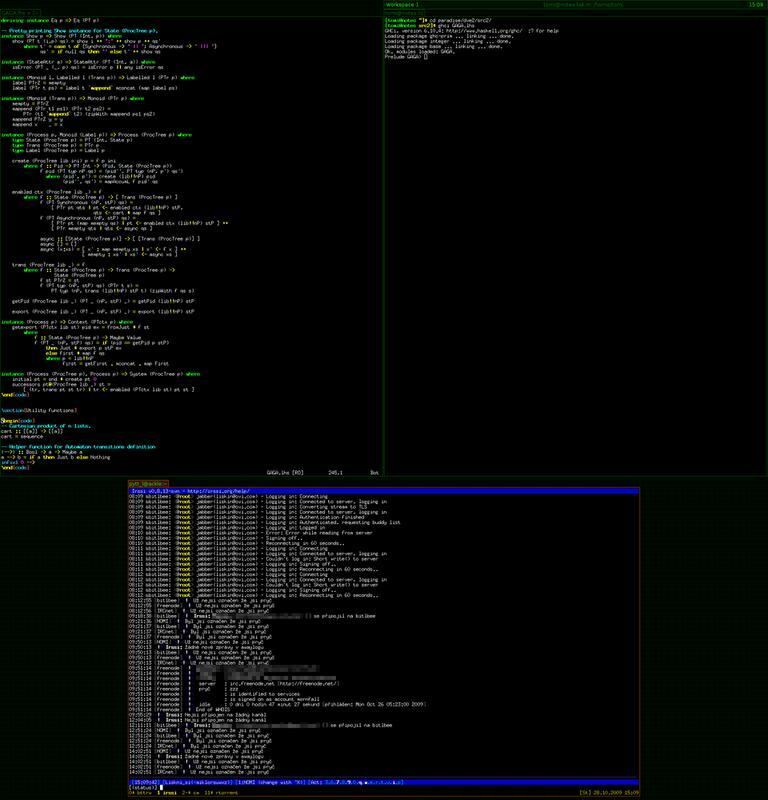 That year X.org became capable of switching between single- and dual-head without restarts and I added proper handling of this stuff to Fluxbox. 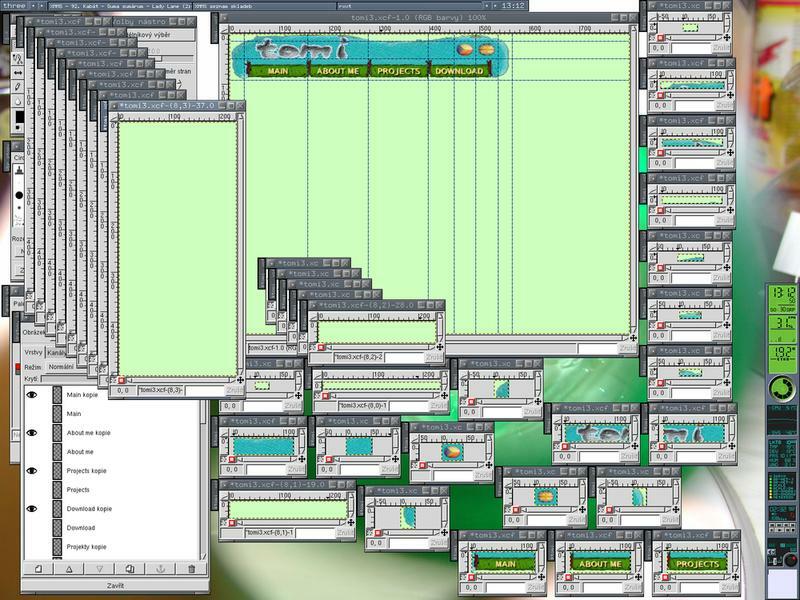 After that, I had a window manager I was fully satisfied with. Those few features that never made it into the official repo were waiting for some polishing on my side that I was supposed to do after Mark does something I don’t really remember what it was. I’m not sure if he did it, for some time I thought he didn’t, and then I focused on other things and didn’t want to hack the window manager that worked perfectly for me. Well, my fluxbox binary is now more than a year old and will remain that way. Sorry for that, Fluxbox is a great window manager, I’d like to thank the people around it, I learned a lot thanks to Fluxbox and the team. I really like the configurability of xmonad and the layout modifiers concept. Also, xmonad-contrib is a huge and very nice collection of useful stuff. I feel that I’ll be submitting more patches (hopefully more than bug fixes) in the future. 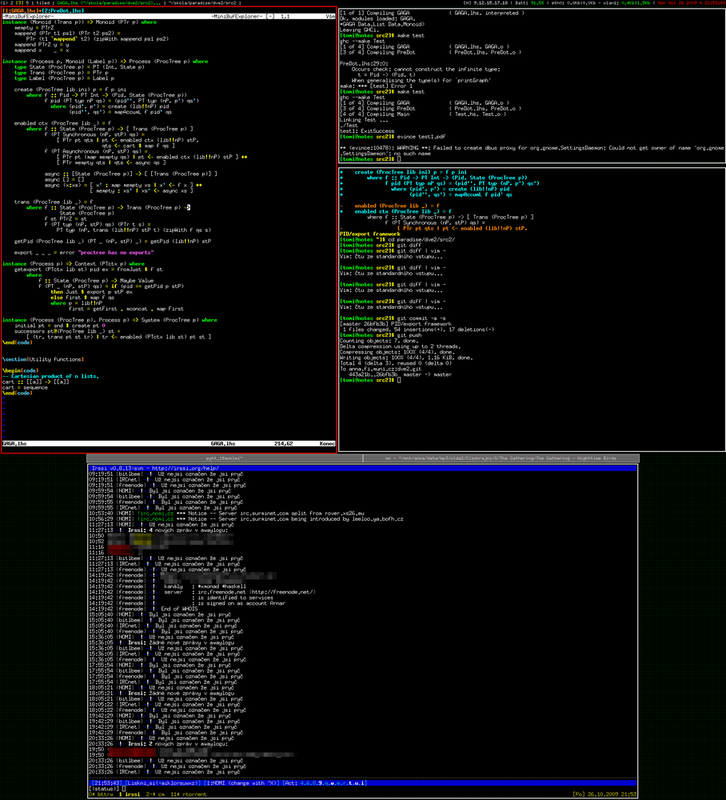 So, again, thanks and goodbye to Fluxbox, and I’m looking forward to having some fun with xmonad :-).